Excellent quality antique bronze plated cord end crimp clasp with a high shine antique copper plating which adds a nice durable finish. These have a top ring where you can attach a clasp or jump ring and a prong on the inside which helps keep the clasp in place. Bend style cord ends are used by inserting the cord into the slot, then bending the edge of the tips down over the cord. 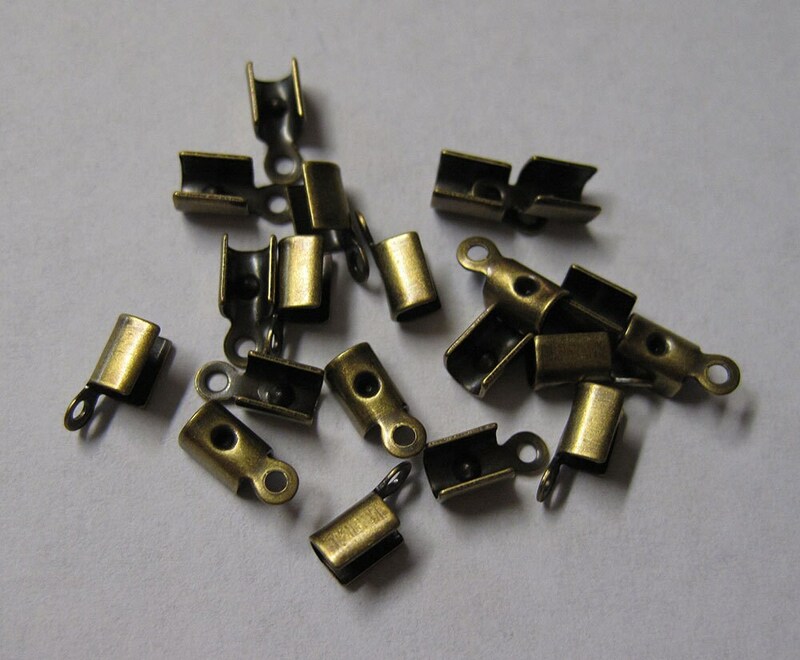 8mm x 3mm bend style, about 2.5mm inside diameter - for terminating necklaces or bracelets - easily fits 1mm to 1.5mm cords. Use with satin cord, leather, hemp, waxed cotton, imitation leather, suede lace, silk and organza ribbons, and more. very nice quality. thank you. Had trouble finding these end clasps elsewhere, they are exactly what I needed. Thanks!